With contributions from 18 of the world's leading equine experts, Equine Ophthalmology provides the comprehensive and authoritative coverage you need to diagnose, manage, and operate on ocular disorders in horses. Detailed illustrations facilitate the accurate identification of a wide range of ocular diseases, while up-to-date and easily accessible clinical information helps you decide on the best course of treatment. 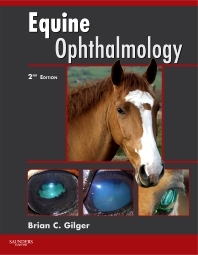 As the only comprehensive textbook on equine ophthalmology, this reference provides the information you need to treat and manage equine ocular disease. Seventeen expert contributors share their extensive insight while providing the most authoritative and current information available. An extensive collection of high-quality images helps you to identify and treat painful ocular diseases in horses. Coverage of the financial impact of ocular disease on the equine industry provides a larger perspective on the importance of effective treatment.